Capital Crimes tells the shifting story of crime and punishment in London through vivid re-creations of a series of murders that stretches from the killing of Roger Legett, a notorious ‘questmonger’, during the Peasants’ Revolt in 1381, through to the hanging of Styllou Christofi in 1954. Some of the murderers, such as the political assassin John Bellingham, are still remembered. Others, are largely forgotten. 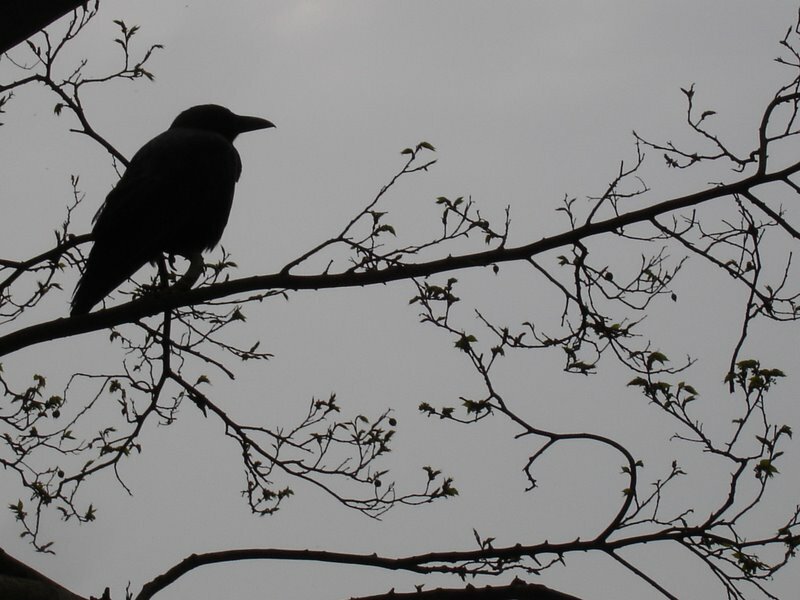 But all their lives and fates have much to tell us – about London’s changing underworld, about the slow evolution of policing in the capital, and about the sometimes strange workings of the law. Above all, they provide a fascinating sideways view of London over the centuries – from the crime-ridden alleyways of the Georgian capital to the supposedly respectable suburbs of Finchley, where the notorious ‘baby-farmers’ Amelia Sach and Annie Walters operated at the beginning of the twentieth century. This month has been fuelled by a mixture of scheming monks, psychopathic serial killers and gung-ho thrillers so decided to put on my sensible head and immerse myself in a world of true crime. 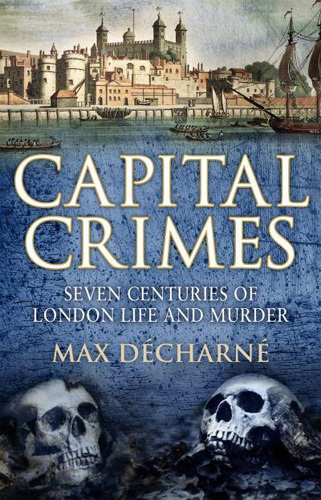 If, like me, you have a keen interest in historical crime accounts and the development of crime investigation techniques, it is well worth seeking out ‘Capital Crimes’ by Max Decharne – a fascinating insight into the history of crime over seven centuries in London. Carefully blending a mixture of known and lesser known criminal cases from 1381-1954, Decharne charts the growth of the metropolis and the crime within it with meticulous attention to original documents. Obviously there are well known references to figures such as John Davis, the infamous highwayman, the assassination of Spencer Perceval, and the murder of Thomas Briggs, but peppered throughout are less familiar but equally as gripping tales of crimes perpetrated over the seven centuries of London life and the punishments meted out to these villains. Decharne is particularly effective at identifying those cases which ran in parallel time periods to the more well known, which gives the whole book a more original touch. What I particularly liked about this book was the way that Decharne skilfully melded in the sociological aspects of the strata of London society, whilst simultaneously charting the major developments in everyday life such as politics, transport, and so on as London exploded in size and in population. The crimes themselves are set within the context of these developments throughout the book so adding different layers to what could be a dry topic. The birth of the modern police force as we know it is documented here, along with the developments in forensic investigation and how the barbaric punishments of the past have been eschewed as the legal system came to the fore with its own decrees on the punishment fitting the crime. There are references to famous figures in the development of crime fiction in the guise of Arthur Conan Doyle and Charles Dickens and a study of the influence of crime in the world of theatre and the arts generally. Decharne also adds some moments of light relief, drawing on some clever contemporary references which adds to the richness of the overall text, with some bringing a knowing smile to the modern reader. Max Décharné is a writer and musician. He has written about music regularly for Mojo magazine since 1998, where he is their chief authority on the subject of rockabilly music, which he has followed and played since the 1970s. His work has also appeared in the Sunday Times Magazine, the TLS and Bizarre, among others. He is the author of six books, including King’s Road – The Rise & Fall of the Hippest Street in the World, was published by Weidenfeld & Nicolson in November 2005. A Rocket in my Pocket is his acclaimed history of rockabilly music. Wow! I don’t usually delve too deeply into true crime, but this one looks absolutely fascinating. It looks as though it has real depth to it. And your review of it is excellent, so thanks. This sounds right up my street – no pun intended as there was a murder in the 19th century on my street. I’ll add it to my list.